The development of “Frozen” took many, many years, beginning long before computer animation existed. 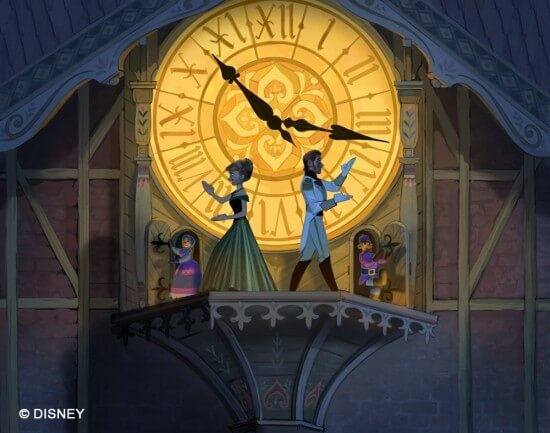 Though it has clearly been a massive success in its CG release, there was a time when Disney considered following in the footsteps of its many timeless film classics to create the story of Anna and Elsa using traditional 2D hand-drawn animation. Even during the planning process of the CG film, 2D artwork was used to develop the look of characters and environments. 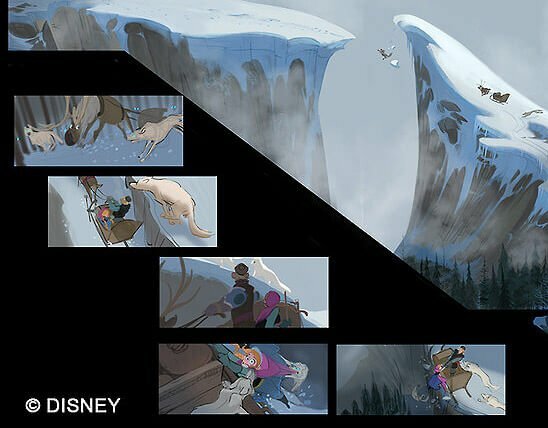 Disney virtual development artist Cory Loftis has posted some of that 2D art from the early days of “Frozen” with gorgeous results, mostly from the “Love is an Open Door” sequence but also featuring Marshmallow, the snow monster, and the wolf chase. 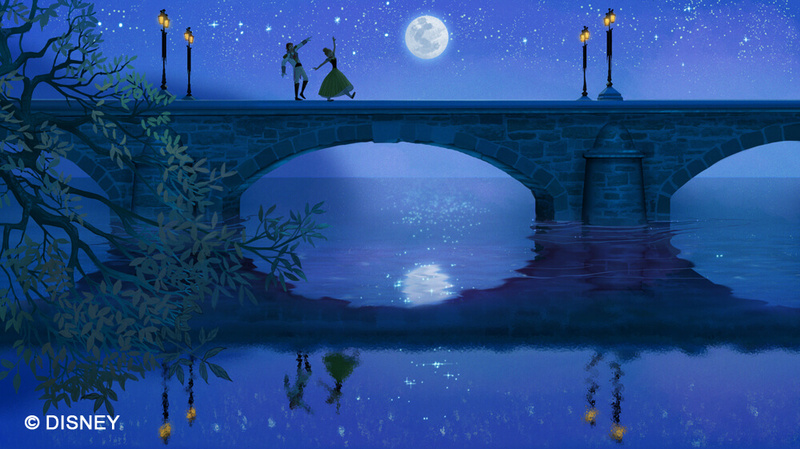 If “Frozen” did end up being a 2D film, this is what it could have looked like. 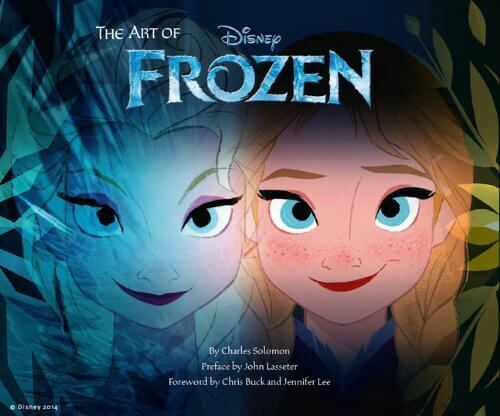 Many of these images (and more) can be found in the book The Art of Frozen. 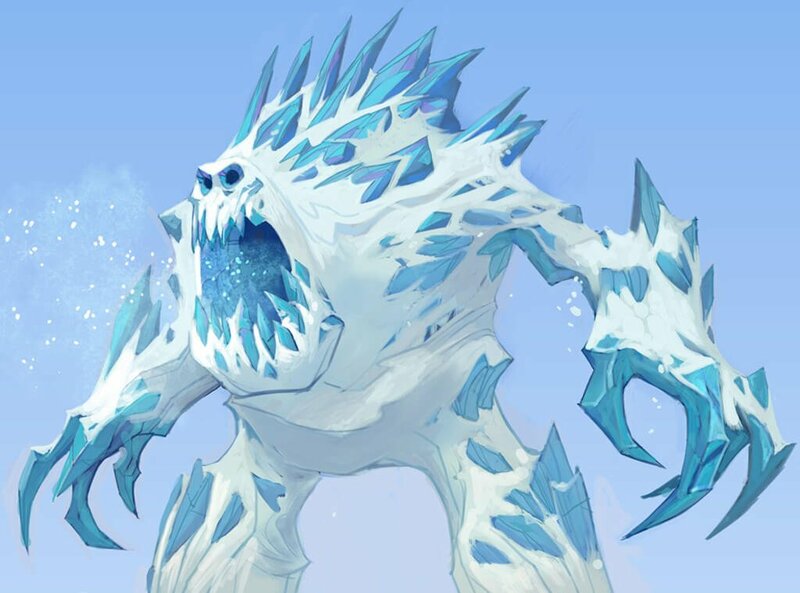 I own Art Of Frozen and have seen none of this concept art in the book! 😮 But they’re gorgeous nonetheless. I’d love to have seen Frozen traditionally animated. Not to mention, Glen Keane’s early pencil tests for the cliff scene with Anna, Kristoff, and Marshmallow are GORGEOUS. This film would have been absolutely beautiful (as equally as it was in 3d) had Disney used the Paperman technology, or something similar to deep canvas perhaps, to still achieve that 3d quality. I’d like to see those! Although, I don’t believe Keane did them since he had resigned Disney before this film. Mark Henn (who is officially credited as the lead 2D animator on Frozen) did a pencil test of Anna scaling the cliff, which is the Disney Animated iPad app. It looks good even in pencil form. Also, Eric Goldberg has a pencil test of King Candy in the Disney Animated iPad app. It’s nice to see that a few of the great traditional animators such as Henn and Goldberg are still there helping the junior animators bring 2D quality to 3D animation, but it would be nice to see another traditional animation film in the pipeline. These images actually are in the book. Most of them are at the very end. I don’t see how this means it would have been traditionally animated. All of Disney’s CG animated films have concept art like this as well as pencil tests. There are plenty for Disney’s Wreck-it Ralph online to see. Regardless, yes, it’s always great to wonder what these film’s would have looked like. I actually like to imagine it in reverse, as well, like Disney’s The Lion King. I think Jin Kim’s art gives us the best idea how Frozen would have been shown.